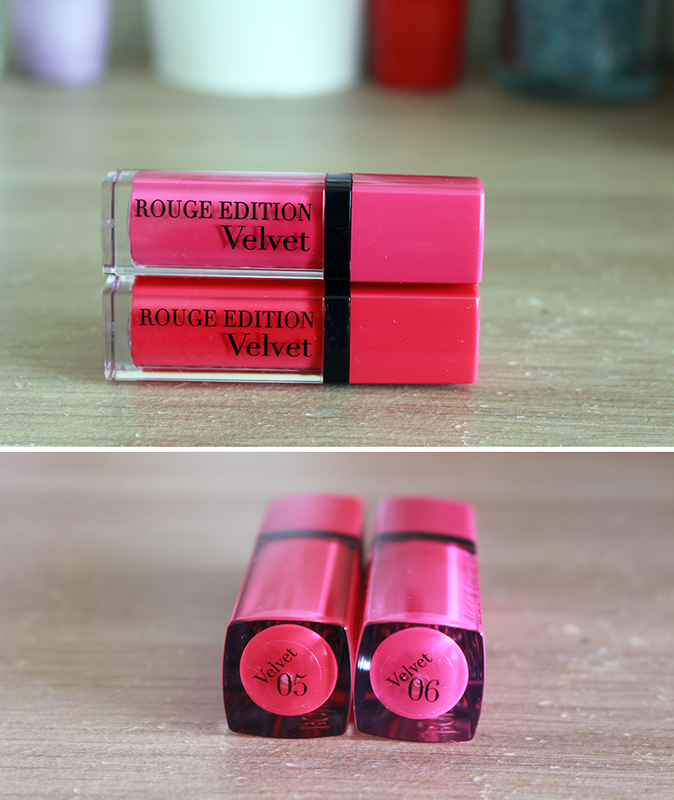 I honestly don’t know why it’s taken me so long to blog about this wonderful invention from Bourjois; seriously…they are amazing. 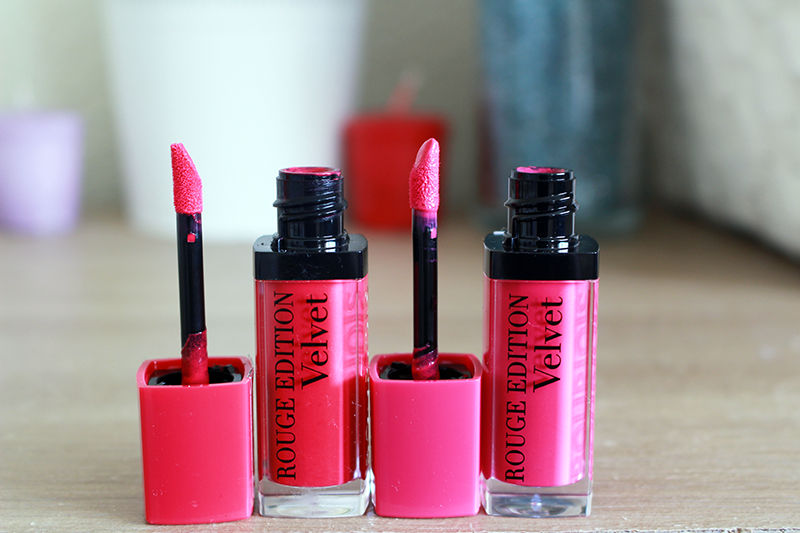 I normally tend to stay away from liquid (matte or otherwise) lipsticks as they tend to not agree with my lips for some reason; they either dry out before I can finish applying them, or they’re a pain in the arse to wipe off, or the opacity is just awful, however with the Rouge Edition Velvet lipstick, it seems like Bourjois have learnt from other brands mistakes and have come up with an all round amazing formula that just ticks all the boxes. There are eight shades in total within the collection, however I chose shades Ole Flamingo! (05) and Ping Pong (06) as I felt those were the two that suited my complexion. The great thing about the lipstick is that you get a clean sweep of opacity in one swipe, and even better; if you’re into your layering, you can do that without the dry layer underneath cracking or turning into a weird pulp, which is what I got with a lot of other brands (looking at you MUA!). 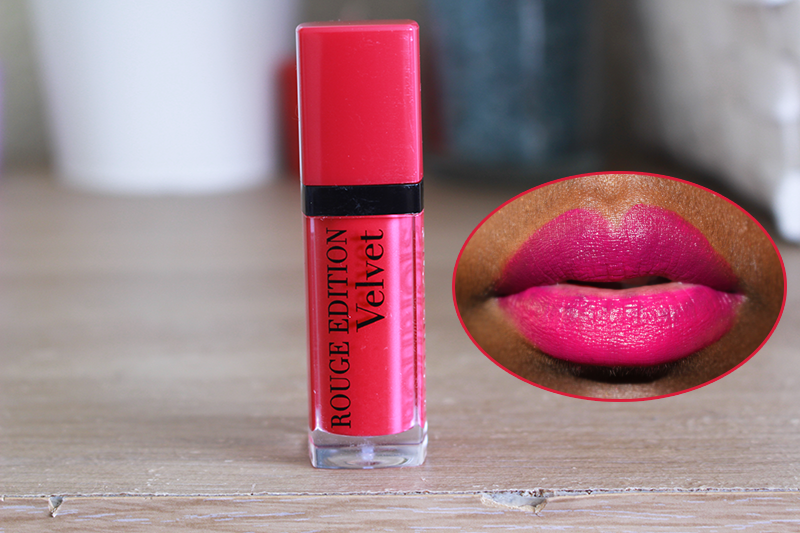 The formula is hyperpigmented and the texture of the lipsticks feel very light on the lips. Upon first application, the lipstick is very ‘wet’, however when dry? These babies turn FULL matte. It’s slightly pointed applicator provides near perfect precision everytime so if you’re a matte lippie beginner, this’ll be perfect for ya. But wait, there’s more. They do not budge once on. Seriously. Obviously you need to wait at least a minute before you go around snogging and drinking, but once that minute is up, it’ll stay on the whole day which is brilliant. Another thing that impresses me about these is the removal process; with other liquid lipsticks, I would literally stand there the whole night trying to remove the darn thing from my lips, even going as far as to look for youtube tutorials (don’t ask, turns out most liquid lippies only come off if you use an oil or oil based cleanser). With these lipsticks, you can take them off fuss free with anything. Good times. How much is this all going to set you back? A rather decent £8.99. £8.99 for all this gorgeousness. Buy some, buy some NOW. Previous Post You give me (Hay)Fever.